Your New England Patriots are 6X Super Bowl Champions! This special edition helmet cart, includes a decal that has the Super Bowl Champions logo. 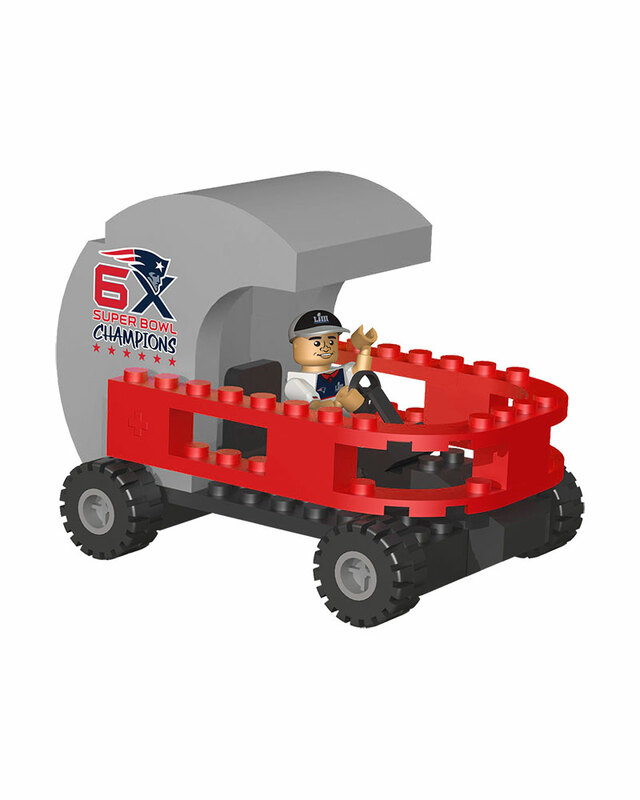 This item is fun for all Pats fans to drive around after the win! The OYO Sports drivable NFL Helmet Cart! 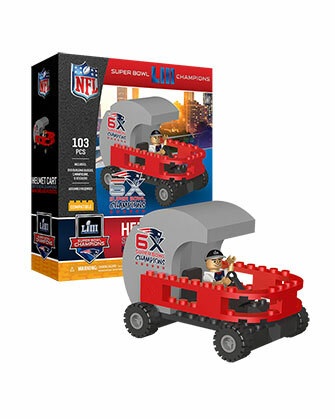 This 106-piece buildable helmet cart is the perfect way to create a memorable halftime show or to unlock your imagination beyond the sidelines. The Helmet Cart is built in the colors of your favorite NFL team and comes with cool team decals, to finish the look. An exclusive, and brand new, team fan minifigure is included to drive your helmet.